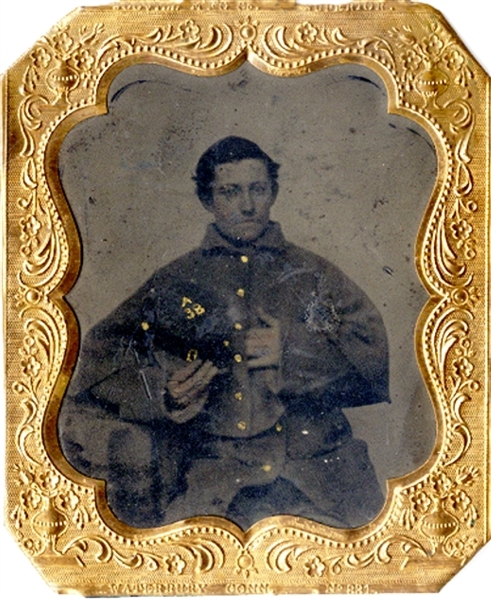 1/6th plate tintype of Union soldier in uniform. Kepit in right hand with “38” on crown. Gilt buttons and insignia. Brass matte. Very good condition.